When I met Marie on Queen Street West, she was surrounded by a ton of luggage, waiting for a friend to take her to Pearson Airport. Since January, she had been living in Toronto for an internship and today she was flying back to her hometown in Northern Sweden. 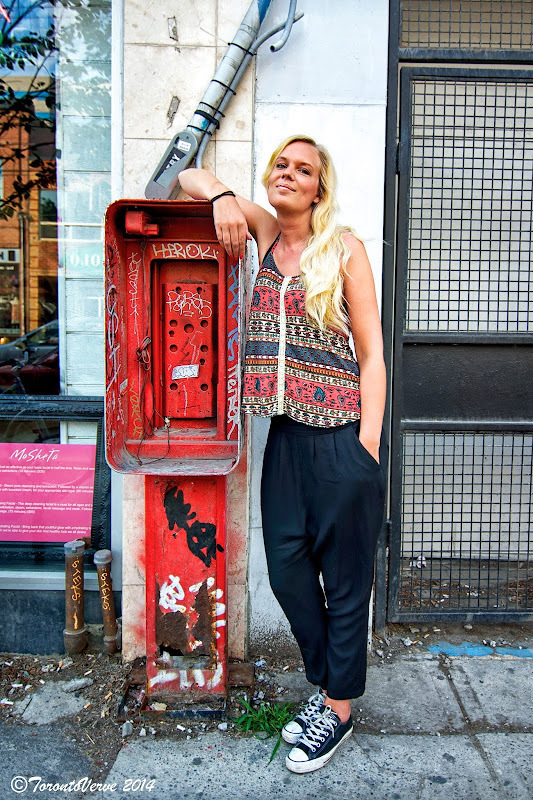 Last year, I captured the magnificent street style of Stockholm and I couldn't resist asking her what she thought about Toronto Fashion. "Actually, I think we're better," she reluctantly responds. "I like European style more. I can't really explain why, but there's something definitely different about it."